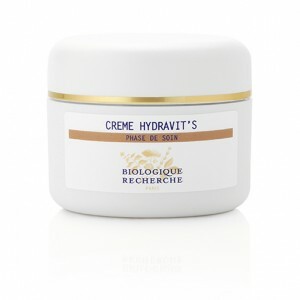 Crème Hydravit’S is our essential cream for your first signs of dehydration. We would recommend this for dehydrated, stressed Skin Instants® to offer speedy hydration, brightness and regeneration. This cream contains moisturising extracts of colostrum and re-lipidating agents of fatty acids, which are crucial for epidermal structure. With extracts of thermal algae and yeast, your skin will feel also revitalised. Energises young skins looking for speedy hydration.